I’ve always had a somewhat bittersweet relationship with Final Audio’s earphones. I love their unique and quirky designs like the Piano Forte in addition to their more conventional models like the FI-BA-SS. Furthermore, their tuning methodology is totally unique. Many companies levy that their earphones sound “unlike anything else”, but for Final Audio that was always genuinely true; they are a company that is unafraid to take daring moves in both tuning and form factor. However, this challenging ethos was always juxtaposed by very premium price tags and eccentric in-ear housings that came off more as luxuries and proof of concept designs rather than consumer products. As innovative as Final Audio’s products were, they simply didn’t make accessible products. But that all changes with the new E2000 and E3000. Instantly, these models are very reasonably priced at $45 and $65 respectively, they also feature some very unique feats of design and a sound that promises to be balanced with a touch of Final’s magical house sound sprinkled in. This is the second of my two affordable Final Audio reviews and, despite pricing and naming structure, I suspect Final’s more affordable offering may actually find more fans, read on to see why. I would like to thank Mark from KS Distribution (UK distributor for Final) very much for his quick communication and for providing me with the E2000 and E3000 for the purpose of review. All words are my own and there is no monetary incentive for a positive review. Despite receiving the earphones free of cost, I will attempt to be as objective as possible in my evaluation. The E2000 has a conservative unboxing with a nice accessory suite. The earphones come packaged with a soft faux leather pouch and 4 pairs of ear tips in addition to the set installed on the in-ears themselves. Final also include two ear guides should you want to wear them inverted over the ear. The tips are actually quite interesting in design, they’re similar to Sony hybrids in shape but are a bit firmer overall. They have a ridged sound tube designed to conform to the bends of the ear canal similar to Spinfits. However, they do so without obstructing the sound tube, improving transparency. While I did find a more comfortable fit with other ear tips, the stock tips provided the most ideal sound signature to my ears. Love my Xiaomi Piston 3’s so much but they are starting to broken. Now I try to find an upgrade. Can you help me? Have you ever listen to Zero Audio Carbo Tenore? How does this compare to Carbo Tenore? Love the characteristic but the filmsy cable just too easy to break, mine broke before reach 1st anniversary. Is this as filmsy as Carbo Tenore? Now using Vsonic VSD3S which is awesome. But still need another iems since I prefer to put iems in different places for different listening conditions. Any recommendations? Thanks before. I just posted a comparison with the Carbo Tenore in my post below. Regarding the cable, both are pretty flimsy, I don’t love the build quality on either. You can consider the Ocharaku Co-Donguri for a brighter style of sound with more clarity. IMO it has the best build quality among these sub $50 earphones. Yes, I heard that Co-Donguri is great too. Is it brighter than Carbo Tenore? And is there any difference comes from different colors? I haven’t heard that there are any differences between the colours but I can’t confirm that. I haven’t had a chance to compare the Co-Donguri with the Carbo Tenore directly, from memory, the Tenore was a bit more balanced. Thanks a lot for the answers. You’ve been very helpful. One more question though, have you ever listen to KZ lineup? Any comments? That brand have so much hype here in Indonesia, so it’s super easy to buy one here. Thanks a lot btw. Hi there, I have a pair of SoundMagic E10s , and I’m thinking of these in-ears or the Zero Audio Carbo Basso to be my next pair. Would it be an upgrade? I’ll use them on a daily basis, public transport, college library, etc. Would you recommend the FA E2000 or the Carbo Basso ? Sorry, I’ve only heard the Carbo Tenore and am unsure how it differs from the basso. The Tenore is brighter than the E2000 with greater treble presence and a little more clarity. The E2000 is warmer and fuller, it’s a bit more natural with greater bass body and extension. My gripe with the E2000 is its isolation which is fairly mediocre, the Tenore isolates quite a bit more. Assuming the Basso has a similar design I would think the same there, likely making it a better daily earphone. How these compare with Fiio F9 pro and Mee P1 (or P2)? How does it perform when compared with Xiaomi piston 2 and piston 3? Basically , I like clear mids, tight bass and clear highs. But not to the extent when those highs hurt my ears.. So maybe little recessed highs. Would u recommend it for me? I haven’t heard the Piston 2 for a while so I can’t provide comparison to that model but compared to the Piston 3, I do prefer the E2000 by a fair margin. The E2000 is more balanced, it is tighter and has a more even midrange with better clarity. I didn’t find the highs to be fatiguing, they aren’t really forward, less so than bass but sit in front of the mids at times. I think the Final would be a fine choice for your criteria but let me know if you have any other questions. Thanks for your reply Ryan. I do like piston 3, but I miss the punchy bass as well as subbass. The soundstage in piston 3 also feels tiny. Actually it’s safe to say that I love pistons clarity, but can’t enjoy all genres bcz of the lack bass and soundstage. So in that case , what do you think? Will E2000 be a upgrade for me or you would recommend something else? How do the E2000 compare to the Gr07 in terms of tonality? 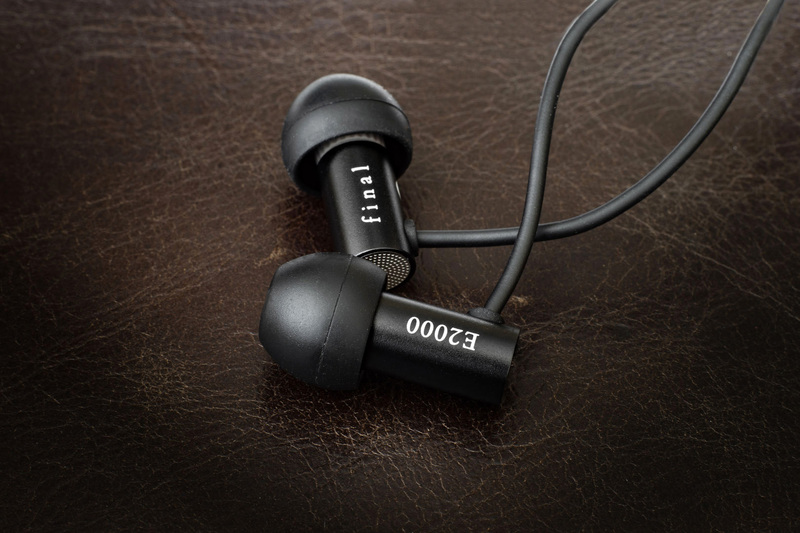 07´s are (according to the review) very similar to the E2000, kinda flat, kinda V, large soundstage and such. and seeing that these might be the new sub $50 kings and possibly one of the sub $100 best IEM´s, how do these compare to the soundmagic´s E50? Thanks Ryan. How these compare against MH1C? Sorry, I haven’t heard the MH1C, perhaps you can ask Klaus over at Headfonics, he wrote some comparison to that model in his review.